What Is EMV And How Does It Make Merchants Compliant? EMV stands for Europay, MasterCard and Visa. EMV technology is currently the global standard for payment processing with credit cards and debit cards. The United States is one of the last countries to migrate to EMV. Visa, American Express, MasterCard and Discover have all announced their plans for moving to an EMV-Based payments infrastructure in the United States. Currently, a cardholder’s information is stored on a magnetic stripe found on the back of the card. With EMV technology however, cardholder information, and more, is stored in a chip which is embedded on the front of the card. EMV Chip Cards contain embedded microprocessors that provide robust transaction security features and other application capabilities not possible with current magnetic stripe cards. Plus, EMV Chip Technology helps to reduce card fraud in a card-present environment and enables safer and smarter transaction solutions. Most of all, it means greater protection against fraud. Approximately 120 million Americans have already received an EMV Chip Card and that number is projected to reach nearly 600 million by the end of 2015.
International Credit Card and Debit Cards already have EMV Technology, the ability to accept a chip card in the U.S. may mean the difference between card swipe rates and hand-keyed transaction rates. The ability to accept EMV Cards can provide a potential increase in revenue through acceptance of international cards; plus, merchants may save money through the future liability shift. What Is The Liability Shift And How Does It Impact Your Business? 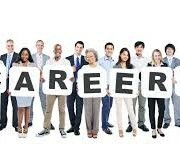 In order to reduce card fraud, the associations (i.e. Visa, American Express, MasterCard and Discover, etc.) have authorized a liability shift that will be implemented and enforced by October, 2015. This means that whichever party prevents a contact chip transaction from occurring will be financially liable for any resulting card-present counterfeit fraud loss. Therefore, if a merchant does not have equipment that can support EMV Chip Technology and this is the cause of the fraud, that merchant will be financially liable. Issuers around the world are including chips in bank cards and merchants are moving to become EMV Compliant on certified terminals to increase security and reduce fraud resulting from counterfeit, lost and stolen cards. We offer the most up-to-date equipment available on the market and merchants may upgrade their equipment now to prepare for the EMV Chip Card Acceptance. 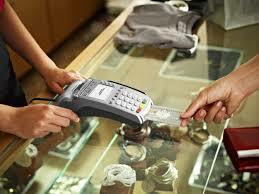 Terminals provided to merchants are not only EMV capable but EMV Certified. Utilizing the most current EMV Certified Terminal on the market ensures that the merchant can accept chip credit cards and debit cards at their point of sale, now. This EMV Certified Terminal combines reliability and performance in a compact, light device. 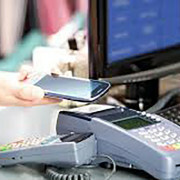 It’s robust chip-technology enables merchants to accept transactions with an embedded special chip. This important added security step follows new security guidelines and is future proof. MERCHANTS DID YOU UPGRADE TO EMV SMART CARDS YET!!! 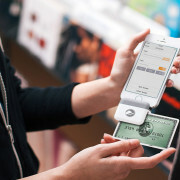 MERCHANTS GET YOUR FREE EMV TERMINAL MERCHANTS DID YOU UPGRADE TO EMV SMART CARDS YET!! !